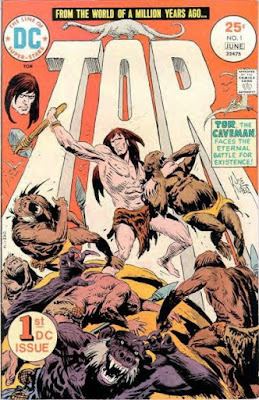 Welcome to another Retro Review edition of Longbox Junk. . .where I take a closer look at an older and more "valuable" comic in my collection instead of my usual "Still worth cover price after 15 years" fare. On my last "retro review" edition, (Captain America #193) I found Jack Kirby's writing. . .lacking. So I asked around the internet a bit, looking for those a little more in the know about older comics in order to be pointed toward something a little less disappointing. In the end there were a lot of choices given to me (and thank you to anyone I might have spoken to who is reading this) but there seemed to be one title that kept popping up. . .Kamandi.